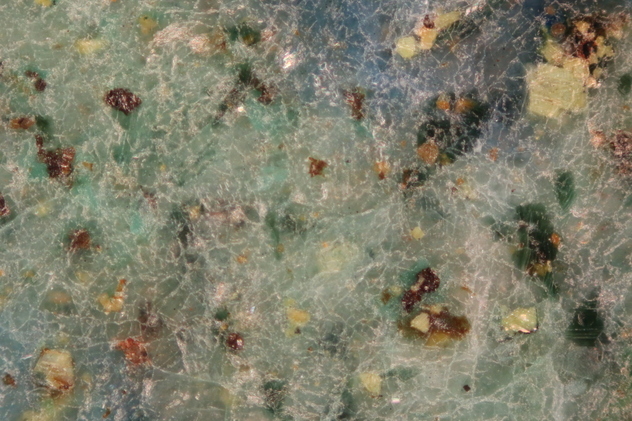 Trachytoid: Mineral information, data and localities. 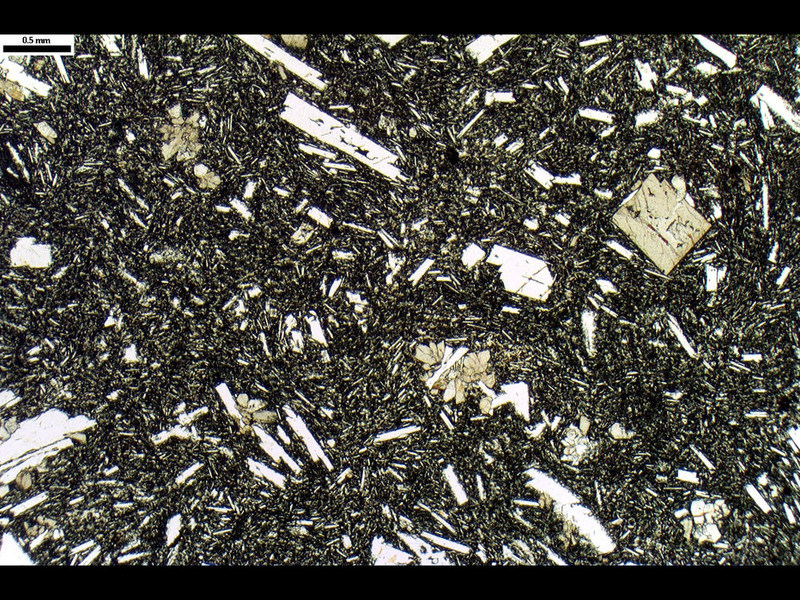 Rocks tentatively identified as trachyte, with felsics comprising <20% quartz, <10%foids and plagioclase/alkali feldspar <2. 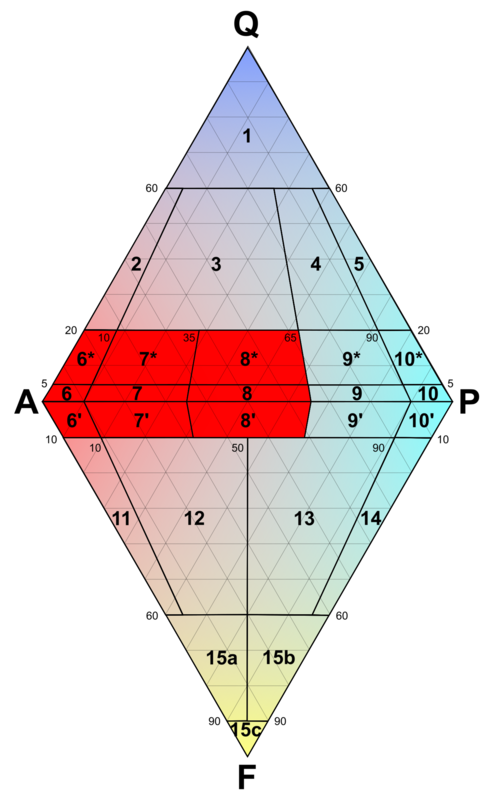 Trachytic-rock appears in fields 6,6*,6',7,7*,7',8,8* and 8' in the QAPF diagram. 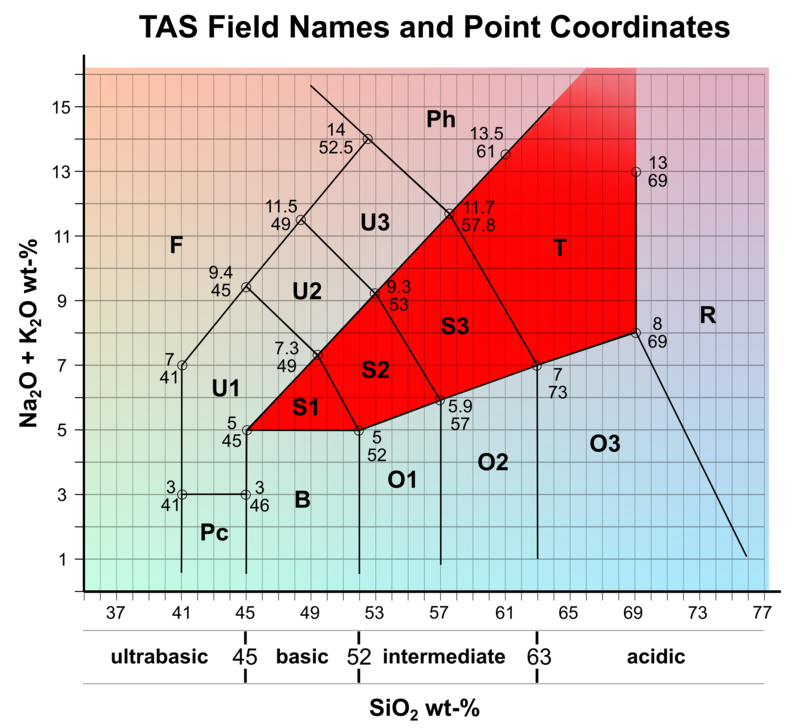 Trachytic-rock is found in fields S1, S2, S3 and T in the TAS diagram.